look at their junior programme and find out that you too can play at this magnificent golf club. So what are you waiting for? Grab your golf bag, and get your shoes on for a walk around one of the finest courses in the land. On the 1st November 1924, Lord Sackville of Knole Park drove from the first tee of the newly completed J.F. Abercromby course. He did so as landlord of the estate and member of the newly formed Knole Park Golf Club. One of the caddies that day was a slim lad in short trousers, aged 14. His name was Sam King, a name that would be engraved on many trophies, appear in the Ryder Cup competition and be called in the Knole Park clubhouse until the dawn of the new Century. 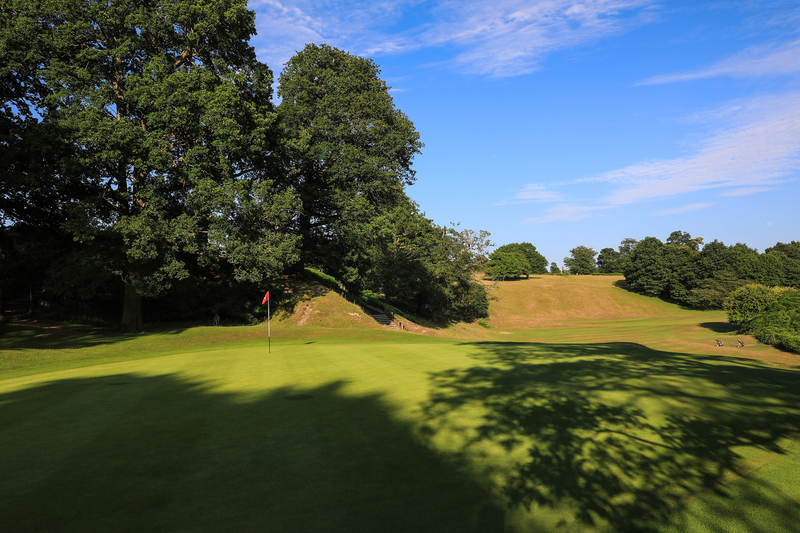 Knole Park GC is still today a friendly and welcoming club with a high quality course in beautiful settings and has been ranked in the top 100 courses in Golf World magazine. The Club hosts the Kent Youths Championship, the English Seniors Championship and a number of TP Tour events. 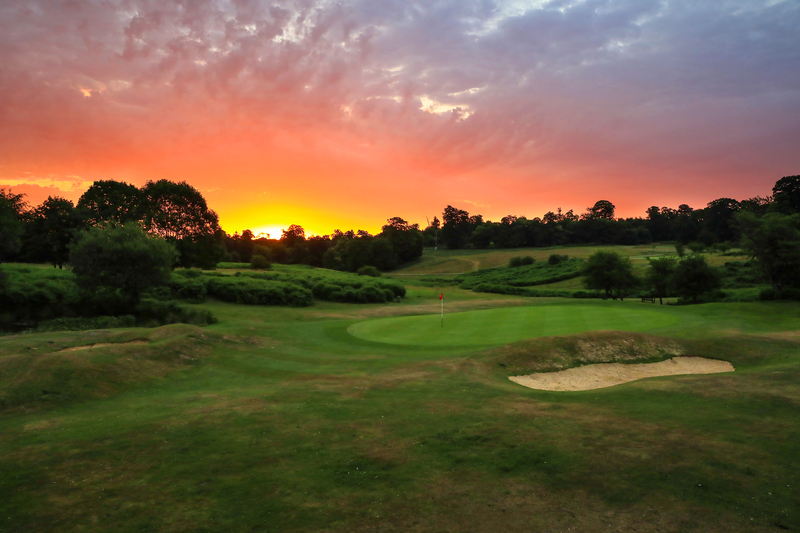 Unique amongst golf courses in the United Kingdom, the club is located within 1,000 acres of outstanding parkland, home to the finest deer herd in the South East. Knole House, one of the greatest National Trust properties in the country, together with Knole Park itself, provides the perfect backdrop to this challenging course. Should you stumble across Knole Park you will discover it’s like finding a little golfing treasure trove. There’s lots of golfing goodness to be found at this most English of golf courses. The word park is actually doing it a disservice in the 21st Century, nowadays any course that isn’t a links or heathland seems to get tarnished with the term parkland. However, there’s a big difference between a golf course built on agricultural or meadowland to what you will find here. If nothing else Knole Park must be one of the most invigorating of walks; the scenery, the wildlife and just being out in the Kent countryside air makes one feel healthier. Knole have taken giant steps in recent years to accommodate the next generation. What you may not know is that the Club offers a junior membership, which is open to all players aged 12 to 18 and all abilities are catered for. This opens the door the the next generation of golfing talent and although some maybe put off by thinking they’re not good enough or need to be of a certain standard, they need not worry. Junior membership at Knole Park GC offers coaching to develop the golfing skills, and competitive playing opportunities for all juniors at all levels. The Club has a strong squad, that includes county players, and challenges for all the major trophies in Kent. Membership is available to those aged under 18 on January 1st of each year, the membership is in the age range of 11 to 17. The Junior Organisers at the Club, Richard Norris and Michele Desmond, arrange Junior stableford competitions which are open to all junior members during the school half-term and summer holidays. Singles and foursomes competitions are also run during the main golfing season. Participation in junior competitions enables juniors to obtain and subsequently improve their golfing handicap. ll junior members with handicaps below 18 have access to Adult Medal & Stableford competitions and those below nine handicap are also allowed to enter the Clubs’ major competitions. They also play a number of friendly matches against other clubs’ junior sections, and they encourage the competitive juniors to play in the increasing number of Junior Opens in Kent plus they have an annual match on a home and away basis with juniors from Stockholm Golf Club. There is no joining fee for juniors and the Club offers a competitive annual fee of just £220. They currently have 60 juniors, of which seven are girls, something the Club is keen to change so they have appointed one of their Lady members as Junior Girls Representative. The Club holds regular junior competitions in the week during the school holidays and weekends during term time. Great for keeping occupied in long summer holidays plus matches against parents. The Club have a team of PGA qualified professionals, led by their PGA Head Professional Andrew Butterfield and everybody is welcome including beginners, juniors, ladies and seniors who can come along and enjoy the beautiful surroundings and excellent facilities. Societies are well catered for with hire sets and trolleys available. There are excellent practice facilities including a 400-yard long driving range, where balls are supplied, a pitching green with bunkers and a large putting green. Head PGA Professional,Butterfield, is a former member of the European Tour and is available for playing lessons and along with his PGA Assistants, they are able to cater for every need and help you make the right decisions. Regular coaching is available to members and non members, from the age of six plus. Samuel Leonard King was born on 27 March 1911 in a cottage not two hundred yards from the boundary fence of Knole Park. Picking up golf balls on his way to school across the course and using clubs fashioned from hazel sticks, he began to play golf. After becoming a caddie, Sam qualified for his first tournament in 1930. His success was spectacular, qualifying for every open from 1932 until 1962 at Troon. He went on to take part in three Ryder Cup tournaments in 1937, 1947 and 1949. British Professional champion in 1961 and 1962, representing Knole Park Golf Club, Sam King was the club’s professional for 31 years.